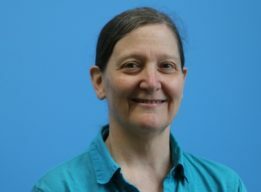 Ann oversees HR, technology, facilities, finance, and office administration at NYC Outward Bound Schools. Previously she worked at the New York City Board of Education, where she designed the School Leadership Team Initiative and led its implementation throughout the City school system. Ann has worked in a variety of public and non-profit organizations, serving as a budget officer for the Open Society Institute/Soros Foundation and as assistant commissioner for budget and finance for New York City’s Department of Homeless Services. She earned a BA from Brown University and an MA in Public Administration from New York University’s Robert F. Wagner Graduate School of Public Service. "Because we value character as much as academics, our students are prepared to be successful, not just in careers, but also in civic responsibility. . . and that gives me hope every day."